annual average rate of around 25,000 tonnes. This renewable energy power station saves around 5,500 tonnes of carbon per year. The plant is owned and operated by a local development company, who has a number of long term contracted fuel suppliers. A feasibility study of the project began in 2003, and in 2006 the contract was awarded. 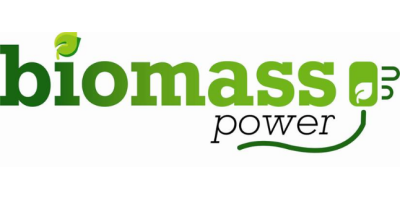 The Biomass Power team expedited the design, build and commissioning of the power plant and the system was grid connected in August 2007. The process is well proven and robust. A heavy duty moving floor feeds fuel into the heavy duty reciprocating step grate via a finitely controlled metering device. The grate gasifies the fuel to produce a volatile gas. These volatile gases are then combusted at above 850°C for more than two seconds to ensure complete combustion. Once the gasification and then secondary combustion process is completed the hot gas is exchanged via a fire tube steam boiler into 450°C steam, at a pressure of 41 Barg. This is then used to produce high efficiency electricity In a vacuum condensing turbine. Once the hot gases are released from the boiler at low temperature they go though a dust filtering treatment process which monitors flue gas emissions constantly and in doing so ensures compliance with the emission standards. A SCADA (Supervisory Control And Data Acquisition) system is employed to significantly enhance the plant control and maximise the performance. This highly automated control minimises staffing levels to only 2 during day time and 1 during night time and weekends. This green energy power plant really generated enthusiasm among the local community, who proudly claim that they are making a great contribution to combat global warming, for such a small town in the West Midlands. The project was financed by private funds and received support of 1.5 million GBP from the Advantage West Midlands and DTI green energy award scheme. The world’s largest downdraft gasifier was commissioned in October 2016 in Lebanon, Tennessee. Problem: The city of Lebanon, Tennessee, wanted to find a new way of waste disposal that would eliminate landfill trips and expenses and improve its sustainability footprint. No comments were found for 2 MWe Biomass Power Plant Case Study. Be the first to comment!